Applying sealants does not require drilling or removing tooth structure. The process is short and easy. 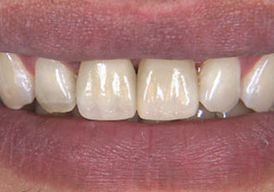 After the tooth is cleaned, a special gel is placed on the chewing surface for a few seconds. 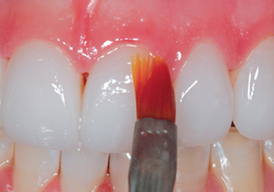 The tooth is then washed off and dried before the sealant is painted on the tooth. The dentist or dental hygienist may also shine a light on the tooth to help harden the sealant. It takes about a minute for the sealant to form a protective shield. Will sealants replace fluoride for cavity protection? No. Fluorides, such as those used in toothpaste, mouth rinse, and community water supplies help to prevent decay in a different way. Sealants keep germs and food particles out of the grooves by covering them with a safe plastic coating. Sealants and fluorides work together to prevent tooth decay. Decay damages teeth permanently. Sealants protect them. Sealants can save time, money, and the discomfort sometimes associated with dental fillings. Fillings are not permanent. Each time a tooth is filled, drilling is required and the tooth is weakened.